Koi 500mg Hemp CBD Healing Balm. 1.7 oz. 45g. 1ct. The world’s finest hemp CBD healing balm. 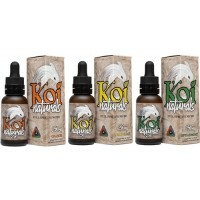 Rela..
Koi CBD Vape Juice Tincture - 250mg. 30ml. 1ct. 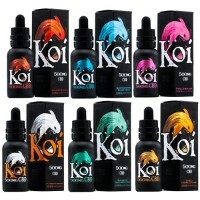 Bottle Size: 30ml Ingredients: 100% ..
Koi CBD Vape Juice Tincture - 500mg. 30ml. 1ct. 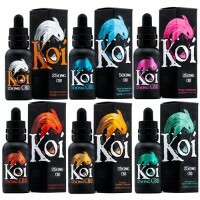 Bottle Size: 30ml Ingredients: 100% ..
Koi CBD Vape Juice Tincture - 1000mg. 30ml. 1ct. 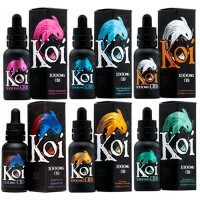 Bottle Size: 30ml Ingredients: 100%..
Koi Naturals Full Spectrum CBD Oil - 250mg. 1ct. Product Description DO NOT VAPE! 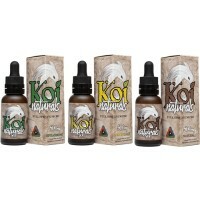 See Sug..
Koi Naturals Full Spectrum CBD Oil - 500mg. 1ct. Product Description DO NOT VAPE! See Sug..
Koi Naturals Full Spectrum CBD Oil - 1000mg. 1ct. Product Description DO NOT VAPE! See Su..
Koi 60mg Full Spectrum CBD Tropical Fruit Soft Gummies. Infused With 10mg Full Spectrum CBD Per Gumm..
Koi 200mg Full Spectrum CBD Tropical Fruit Soft Gummies 20pk. Infused With 10mg Full Spectrum CBD Pe..